Like traditional advertising, content helps brands increase their profile and attract new customers. But it takes time and commitment to both create that content and also track its impact. Sales teams, under constant pressure to hit their quotas, often look for shorter-term solutions. Yet, thanks to the rise of social selling — the practice of leveraging social networks to enhance lead generation and boost conversions — sales teams are warming up to the idea that content can help them do their job and close more deals. Jill Rowley, social selling evangelist at Oracle, put it this way: “Content is the currency of the modern sales organization.” This sentiment is in line with new industry norms, as 91% of business-to-business marketers use content to build awareness and cultivate relationships. Rowley is currently busy educating the 23,000 salespeople at Oracle on how to prospect and engage leads via social media channels. Leads seek and respond positively to content that addresses their business challenges, she said, and when a sales pro provides this type of content, it’s not seen as pitching. Instead, the sales pro is seen as a trusted advisor. Oracle’s brand magazine, Profit, is at the heart of the company’s content strategy. 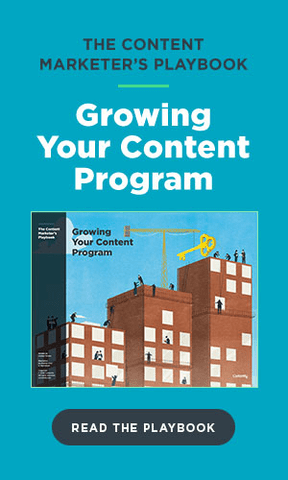 To maintain a healthy flow of content, Rowley suggests that salespeople use the 4-1-1 Rule: sharing four pieces of relevant third-party content for every one piece of Oracle-branded content, plus an offering of lighthearted fare like a cat video or motivational quote. Rowley notes that social selling at Oracle isn’t a popularity contest; it’s about gaining a competitive advantage through the smart use of content. “I have to tie social selling to pipeline generation and revenue,” she said. Based on the reactions she’s received from colleagues at Oracle, it appears to be working. For social selling to work, it helps to determine where a prospect is in the organization’s sales funnel, which determines the best type of content to deploy. At the top of the funnel, the name of the game is awareness, but as the funnel narrows and prospects are more immersed in the decision making process, video content, white papers or blog posts are key tools for closing a deal. Michael Freeman, senior manager of search and analytics at ShoreTel, which sells products based on voice over Internet Protocol (VoIP) technology, agreed that the traditional sales cycle is changing. “For us, we’re in a market that most people don’t know much about, so we want to reach prospects and show them we are trustworthy and friendly. We can provide value via our content, even if the person is not in the market for VoIP at this time,” he said. ShoreTel also uses the Social Inbox tool from Hubspot to provide real-time notifications to its sales team when people mention the company online or visit the ShoreTel website. Freeman believes in the value of automation, but said it works best when sales pros are empowered to decide for themselves the best course of action. For instance, some sales organizations have default mechanisms in place, such as sending out a white paper in response to an action taken by a prospect. But this isn’t always the best move. “We’re social people and we’re complex, therefore, you can’t just automate your way to success,” Freeman said. In line with Freeman’s nuanced approach, it is now commonly accepted that blasting people with a firehouse of “look at me” branded content is a mistake. This applies to social updates, too. Carly Fauth, head of marketing at Money Crashers, an online guide to financial fitness, said sending out endless tweets about your brand makes far less of an impact, for instance, than conducting regularly-scheduled Twitter chats. Jessica Thorpe, vice president of marketing at EXPO Communications, added that highly-engaged consumers want to help other consumers make smart purchase decisions. “They see themselves as innovators and informants,” Thorpe said. EXPO syndicates consumer video on behalf of major consumer packaged goods brands, plus massive retailers like Walmart, Sears and Amazon. Thorpe said EXPO’s clients who leverage consumer-generated video (produced by EXPO) on their product pages are now seeing a six-to-thirty six percent lift in conversion rate and an eight percent lift in cart size, on average. With figures like that, branded content should continue to play a bigger role in the sales process, and salespeople who fail to embrace it will likely be left behind.